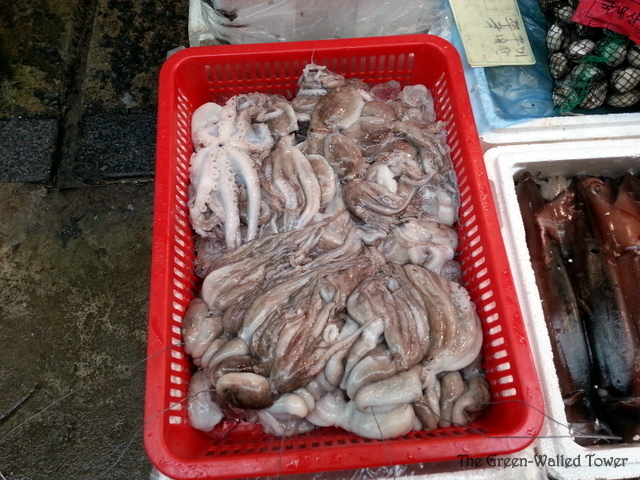 Jeonju’s Nambu Market, in the southwest of Korea, is the largest traditional market in the city. 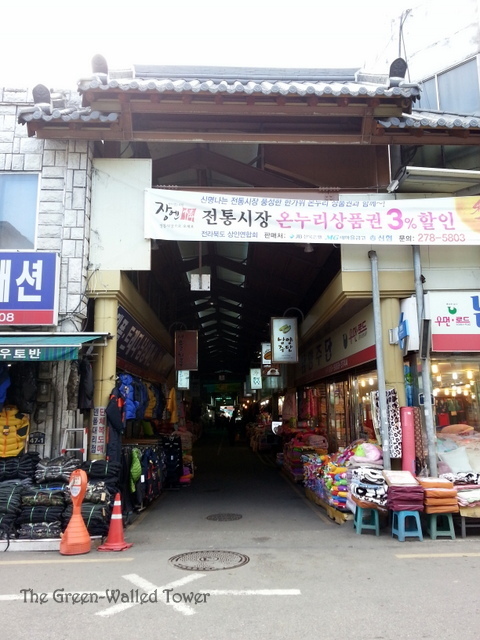 Across the main road is Hanok Village, where all the tourists go, but Nambu Market is mostly for the locals. 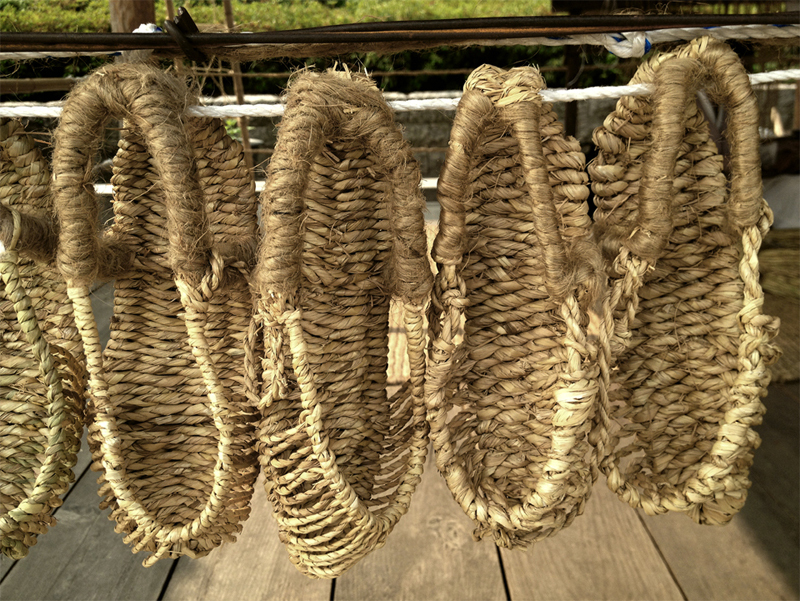 These are called jipshin, or literally, straw shoes. They were used by farmers and apparently still are, since you can buy them at the market. 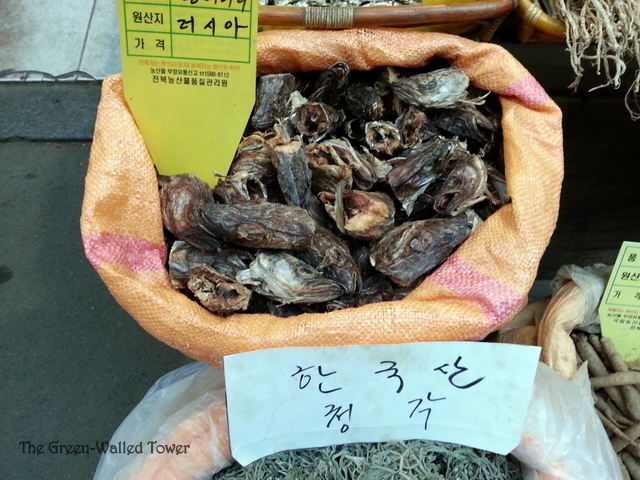 Dried fish heads. I’m not sure how you eat them, or if they’re just fertilizer, but you can buy them by the bagful. The sign says they come from Russia. Live octopus. You’re allowed to cook them before you eat them though. 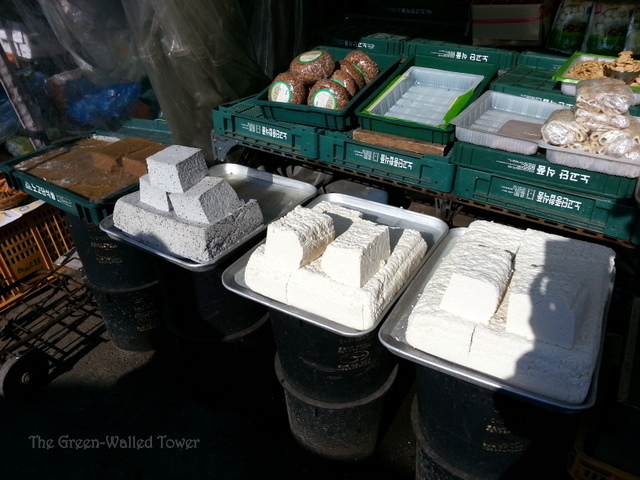 Blocks of fresh tofu. The brown blocks to the left are acorn jelly and the round things behind are fermented soy bean paste. 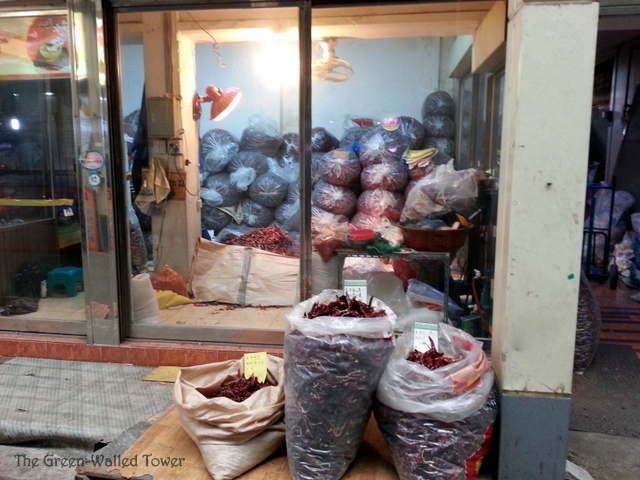 These are bags of dried hot peppers. Koreans love their hot peppers. This shop sells a bunch of everything. 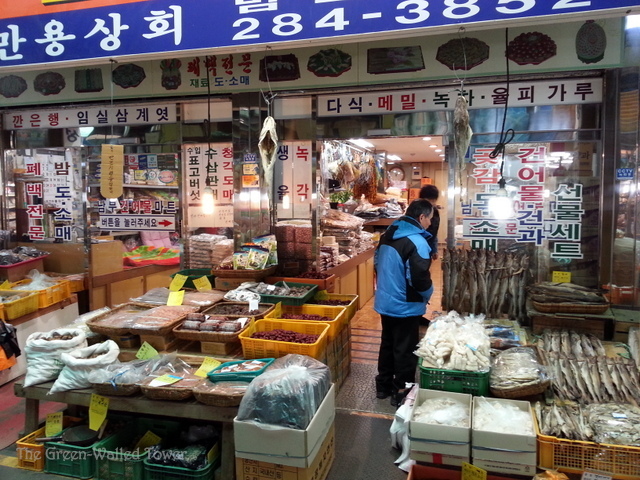 The signs advertise dried persimmons, buckwheat, deer antler, green tea, etc. One of the main reasons I go to the market is to go to a famous restaurant there, called Nammun Pisundae (which means South Gate Blood Sausage). 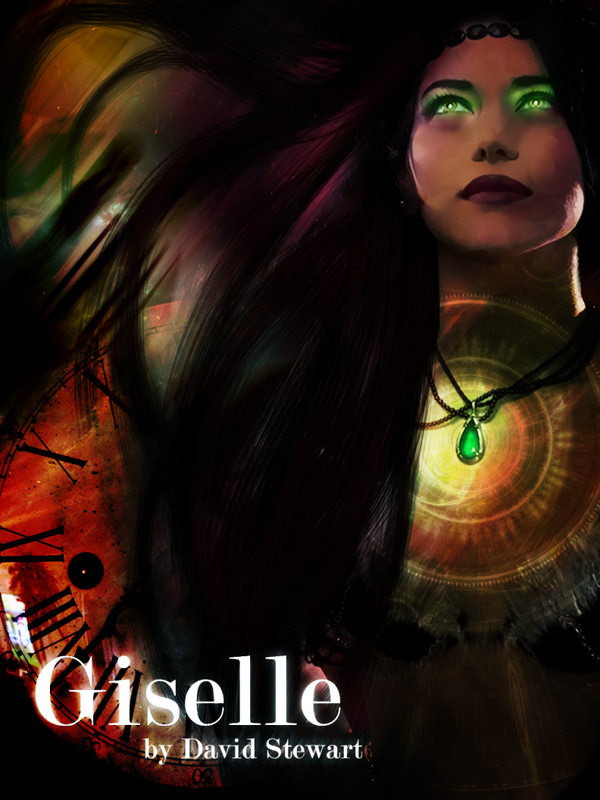 It only serves one thing, which is blood sausage, either in soup or by itself. It’s really good and there is always a huge line out the door around meal times (although it’s open 24 hours). They cook the food by the door, so you can see them making it as you walk in. Not everything in the market is food though. 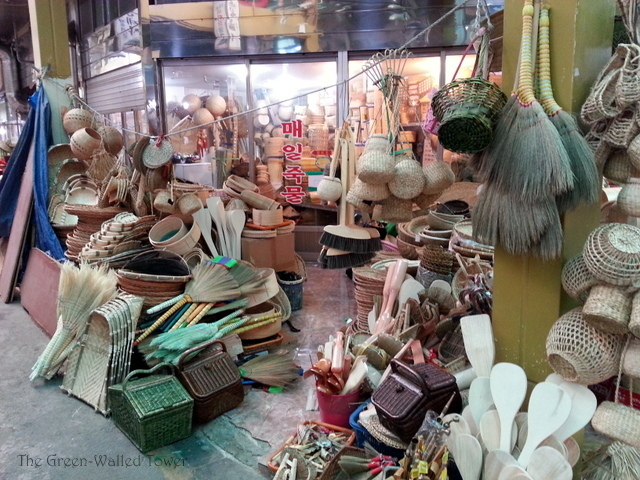 It is also a famous area for hanbok, which is the traditional Korean dress. 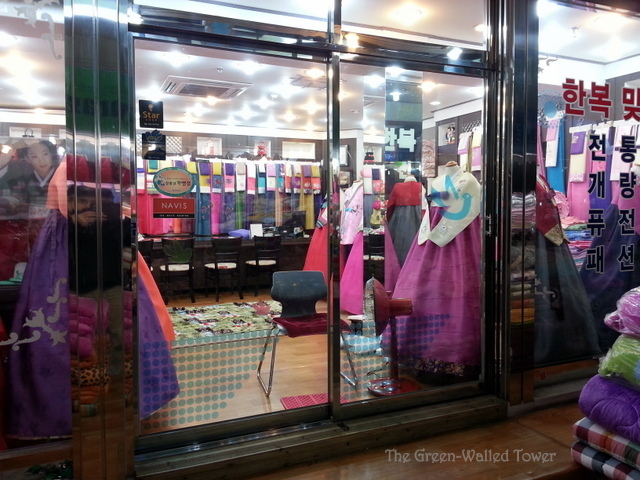 There are many hanbok shops in the area. All of the dresses are custom-made. You see a lot of women wearing them at special events like weddings or on major holidays. 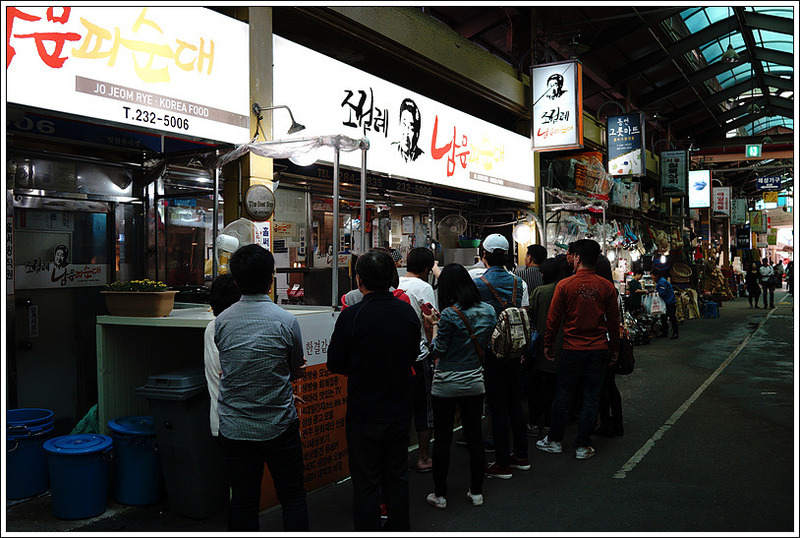 I don’t know if you’ll ever come to Jeonju, but if you do, go to Nambu Market. 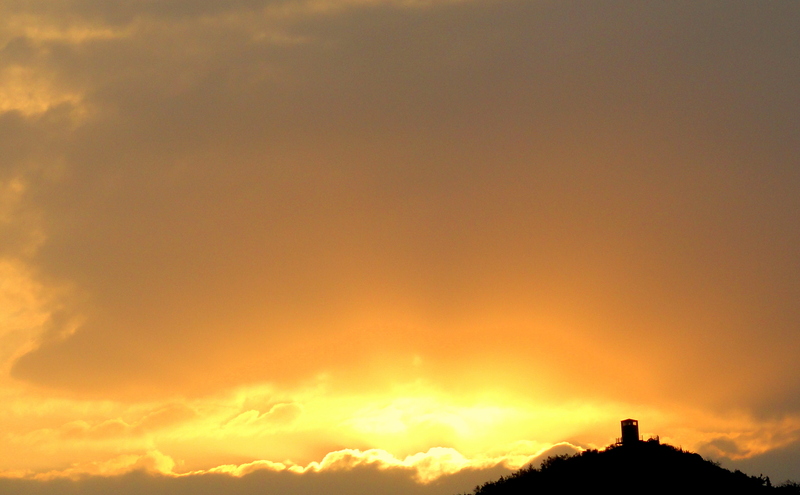 It’s a great place to wander around in and see a lot of new, interesting things.